Species is listed as Threatened in the indicated New England state. The generic term for a genus, species, variety or subspecies. The science of identifying, describing, classifying, and naming plants and animals (adjective: taxonomic). A specialized leaf, branch, or inflorescence that aids a vine or liana in climbing. Petals and sepals that are indistinguishable from each other, except by position, due to overall similarity. The outermost or end-most portion. 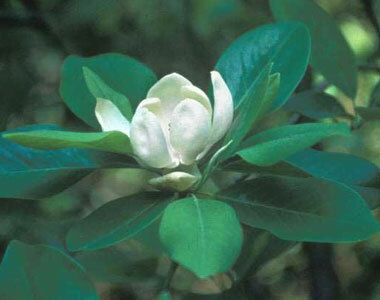 The bud that forms on the very tip of a branch, with no twig bundle scar beside it. Arranged in a whorl of three. Growing in or on the ground. Seed coat derived from mature tissues of the ovary. Plant that is not clearly divided into a stem and leaf. A compartment of an anther where the pollen is borne. A short, stiff, pointed structure that is a modified branch or leaf and thus contains a vascular bundle or remnants of it. A species likely to become endangered throughout all or a large portion of its range. The base of a tubular corolla. A flower in which the stamens are equal in length to the style. A mixed inforescence with cymes arranged in a raceme. Covered with tangled or matted, woolly hairs. A projection from a leaf margin that comes to a pointed or acutely rounded tip. A perennial woody plant 6m (18 feet) or taller, usually with a single main stem (trunk). Having three sides and three angles, as in a two-dimensional pyramid. 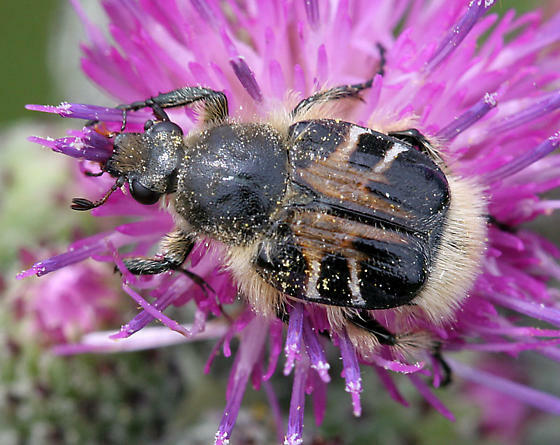 Hairy Scarab Beetle, photo ©Mike Boone, BugGuide.net . With three compound openings with pores in furrows (in pollen). Three times-divided, as with ferns that have pinnae divided into pinnules, which are further divided into pinnulets. The sterile blade of moonworts (Botrychium species) and adder's-tongues (Ophioglossum species) that does not bear sporangia. In Lycophytes, sterile leaves not associated with sporangia. With the base or apex of an organ latitudinally straight, appearing to have been cut off. A thickened portion or branch of an underground stem that stores water or starch, like a potato. Covered with low, rounded bumps; usually refers to the texture of a quillwort (Isoetes) megaspore. A detachable vegetative bud that can form a new plantlet (common in aquatic plants). Branchlet of a woody plant; the current year's growth of the stem and branches.